Ron and Kelly Cabana were not looking to sell their dental practice when they did. But a strong offer from a large company, and the opportunity to keep working, changed their minds. At a community barbecue on Green Lake, Kelly Cabana reminded her husband Ron what a good decision they had made two years ago to sell their dental practice. They were both still working but they didn't have to worry about an exit strategy and could really enjoy their time at the cottage. Kelly and Ron met in dentistry school, married after graduation and had three children in quick succession. After six years as associates in a practice, they branched out on their own, renting space and hiring a team to support them. The practice flourished almost immediately. The number of clients increased every year and their success continued for two decades. Kelly and Ron had no plans to sell their practice, even as they approached their mid-fifties. They had good life-work balance, the family was healthy, and they were content. But one day they were approached by a large company that was purchasing several practices and consolidating them. Kelly and Ron weren't ready to sell but decided to meet with Greg, their MNP advisor, to go over their options. With Greg's help, they soon realized the timing of the offer was good. Greg pointed out that from a financial perspective, it's always better to sell a business when the timing is right for the buyer rather than the seller. He also asked Kelly and Ron to consider what might happen if they rejected the offer and the company chose another nearby practice as its entry into the marketplace. How would that impact their fortunes? Would it make it harder for them to grow the value of their practice in the years ahead? Kelly and Ron had already started to see increased competition in their neighbourhood. So far, that hadn't cut into their business; their long-standing clients were extremely loyal. But over time, they might see some attrition among their newest clients, who might decide to start going to a closer, more convenient location. 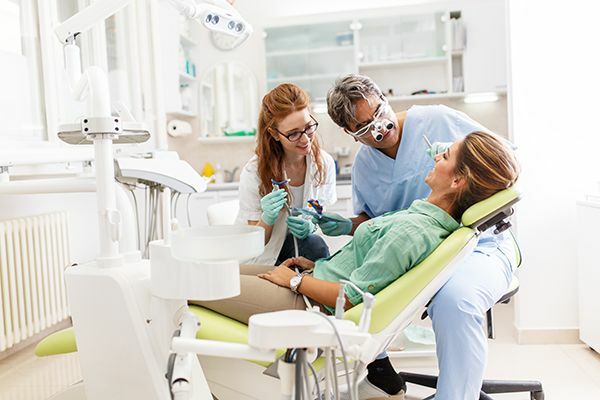 In addition, the government and the industry's self-regulating authority had just reached an agreement to put in place a new fee schedule that would control and standardize the prices that dentists could charge. As a downtown practice that invested regularly in technology, Kelly and Ron had higher overhead than other dentists. They tended to attract clients with very good benefits programs so they were able to charge prices that were at the higher end of the spectrum. Soon there would be limitations on fees. There was a risk their higher cost structure could make them uncompetitive. The very presence of a consolidator in the market also caused Kelly considerable concern. What would happen, for example, if they refused to sell and then the consolidator bought up several other practices in the area? Would efficiencies and economies of scale allow that larger player to hurt their business? Kelly had always thought she and Ron measured up well against other similar-sized practices. But this had the potential to be an entirely different dynamic. After talking to Greg at MNP, Kelly and Ron decided to proceed a little farther down the path with the consolidating company. The company came back with a very aggressive offer for their practice. They admired the sophistication of Kelly and Ron's operation and also prized their specific location. Neither Kelly nor Ron were ready to retire, but the consolidating company had made it clear that it would be no problem for them to continue to work in the practice even after a sale. When asked by Greg if they could see themselves working for the company, Kelly noted maintaining relationships with their patients was the most important thing to them. "As long as that continues, I think we can be happy," she said. In the end, Kelly and Ron decided the offer was simply too good to refuse. They closed the deal and continued working for the new owners. Within a year, they knew they had made the right decision. The level of competition continued to increase, and other downtown practices started asking to be put in touch with the consolidating company. "The one lesson we learned in all of this is that you may only get one chance to sell your business for a good price," Kelly said at the Green Lake barbecue. "For us, it didn't necessarily happen when we planned it, but I'm glad we took advantage of the opportunity when it came up." Timing is crucial when selling a business. Market factors may change and reduce the value of your business, no matter how hard you’ve worked to build it. The forces of consolidation are powerful. If you capitalize on a trend toward consolidation, you can sell your business for a fair price. If you don’t, you could become a small, stand-alone competitor in an increasingly consolidated marketplace. There are ways for professional services operators to cash out but continue to work in their businesses. Are you prepared to take advantage of an opportunity too good to pass up?